Car insurance minimum coverage amounts often vary from state to state. If you are considering moving to South Carolina or are new to the Camden, South Carolina area, there are specific coverage amounts you need to have on your automobile to protect yourself and others in the event of a car accident. A car accident can leave you and other parties with serious injuries as well as property damage. You need to make sure you have adequate coverage to compensate another driver for their personal injuries and property damage if you have an accident with them, as well as cover your own injuries and damages. What Type of Car Insurance Coverage Do I Need in South Carolina? In Camden, South Carolina, the state law requires that you have certain coverage as a driver. It is mandatory for you must carry liability insurance on your vehicle if you want to drive in the state of South Carolina. If you fail you maintain coverage on your car, you jeopardize losing the right to drive, as well as having your car registration and license plate suspended. If you do not maintain liability insurance coverage and your registration and plate are suspended, you will have to pay a $200 reinstatement fee. There will also be an additional fee of $5 per day for every day your car did not have insurance up to $200. If you do not plan to carry basic liability insurance on your vehicle in Camden, South Carolina, the legislature passed a law in 1999 giving you the option to register as an uninsured motorist. It will cost you $550 to do so, and it is extremely risky to register your car in this manner. When you do this, you are telling the state you have no intention of obtaining insurance, and you still plan to operate your car on the roads. You need to know that if you are in a car accident and do not have liability insurance, you will be solely responsible for all personal injuries and property damages and open yourself up to litigation from the other driver. Not sure if you have enough insurance coverage for your car accident? Contact the Connell Law Firm today! 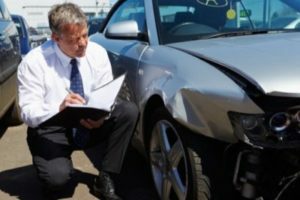 How Do I Collect Damages After a Camden, South Carolina Car Accident? Camden, South Carolina adheres to the “at fault” system when it comes to processing car accident claims, which basically states you will have to prove the other driver was at fault to collect damages for a collision with another driver. The state also follows the “modified comparative negligence” rule which simply means that even if you are partially at fault for causing the accident, you may be able to collect damages if you are less negligent than the other party in the crash. It is a good idea to consult with a personal injury attorney if you are in a car accident to have the rules of modified comparative negligence explained to you in detail. They can tell you that the only way you will be able to collect damages for the accident is if you are 50% or less at fault for the accident. A lawyer can give you specific examples of how this scenario will work. For instance, if you are 20% to blame for the collision and the other driver is 80% to blame, you will be able to seek legal action against the other driver, but your damage award will reflect the amount of your negligence. So after a damage award of $1000, you will receive $800 after your 20% reduction. You will be able to collect for your economic or documented damages like vehicle repair costs, medical bills, and lost wages. In some cases, you may also be able to collect non-economic damages or those expenses that are harder to assess a dollar amount to like pain and suffering, loss of ability to live and enjoy your life as you had before the accident, and the loss of companionship or affection of your spouse. Why Should I Contact a Personal Injury Attorney in Camden, South Carolina? If you reside in Camden, South Carolina and are in a car accident, a personal injury attorney can explain to you what your options are after you are in a collision with another driver. They can review the details of your case, your medical reports, and the police report to best determine how to proceed with your personal injury claim. A lawyer will be able to negotiate with the insurance company to make sure you receive compensation for all of your personal injuries and property damages. A car accident can be a traumatic experience, and you will need to focus all of your energy and time recovering from your injuries. An attorney will be able to work on your legal issues so you can devote your attention to getting back on your feet. You do not need any additional stress in your life once you have been in a car accident. When you or a family member is in a car accident, you will need someone fighting to protect your rights. The attorneys at the Connell Law Firm will fight to get you the justice and compensation you deserve. Let us put our resources to work to help you through this difficult time in your life. We have the experience of negotiating with insurance companies to make sure our clients receive the maximum compensation amount necessary to provide for their medical bills and their families. Our office will work hard on your behalf and will take the time to review all the details of your case so we can handle it in a satisfactory manner. Call our office today to schedule a no-obligation case review.